I have yet to find out when the first city in China started calling itself ‘the capital of . . .’, where … is a slot for a certain product (group), one of which that city is a national production centre. However, it now has become so important for the local economy, that it has almost become an official designation, bestowed by an industrial association. Icons are an important aspect of the construction of social identity in Chinese culture. Chinese like to identify a famous person who they would like to become. More than a few Chinese start-up cyber-entrepreneurs are dreaming of becoming China’s Steve Jobs. Some even go as far as to try to emulate their hero’s behaviour, clothing, and speech. In an analogous fashion, Chinese cities that are leading in a certain industry have started picking a similar foreign city, calling themselves ‘China’s …’ A city with a major car maker may call itself ‘China’s Detroit’. Unfortunately, there are several cities in China that are the home of a major automobile manufacturer, resulting in almost as many ‘Detroits of China’. So far, this has not led to conflicts between the various local governments. Detroit doesn’t care either. The city has lost most of its car-related industry and virtually turned into a ghost town. Several posts of this blog are introducing the growing importance Chinese local governments attach to their local culinary specialties. A representative post is that about Jinhua ham. Jinhua ham is so typical for that region, that Jinhua has applied for DOC status for this product, meaning that only ham producers of Jinhua are allowed to market their ham as ‘Jinhua Ham’. A city with a DOC-status food is likely to have a relatively large number of manufacturers of that product, and/or the top producer in that business. Instead of finding its icon elsewhere, such cities endeavour to become an icon themselves, by calling themselves ‘China’s Capital of <their typical product>’. Unlike in the case of China’s multiple Detroits, this has been a cause for chauvinist strive. 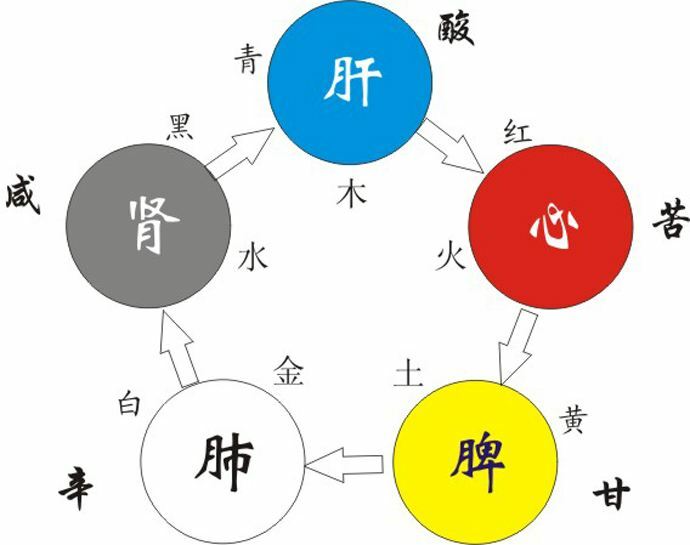 As societal harmony is a top priority in China, the government has started to regulate such designation through the various sector associations. The most famous issue was giving Huhhot, the capital of Inner Mongolia the status of ‘China’s Dairy Capital’. It was initiated by Mengniu, a well-known company for the regular readers of this blog. Mengniu want Huhhot to be the first city to apply for that status, lest another city would be the first to do so. Huhhot itself was not too keen at first, but gave in at the end. Once the Dairy Association of China had recognised Huhhot as China’s Dairy Capital, no other city in China was allowed to refer to itself in that way. I am not sure if there actually is a penalty for violating this rule, but so far no other city has tried. 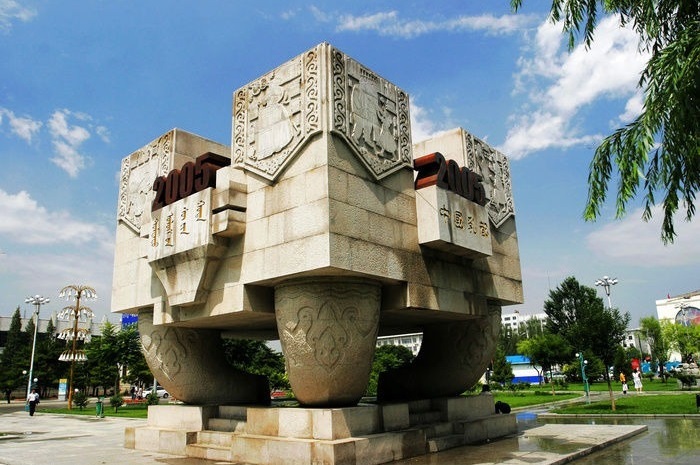 To mark its status of China’s dairy capital, a large monument was put up in Huhhot. In the remaining part of this post, I will list a few of the major Chinese food capitals. This list is by no means exhaustive and I will keep adding cities, whenever I encounter them in my scanning of the Chinese information streams. Some of these have a more or less official status, i.e. they are bestowed by the relevant sector association. However, most still seem to be self-assigned. This is probably why there are several capitals for some products. This list may turn out quite useful. If you want to know quickly were a certain food is produced in China, this list can guide you directly to a/the major region. You will have to look further (e.g. using this blog’s search engine), but this is a good start. China’s ‘Canned Food Capital’: Zhangzhou (Fujian). China’s ‘Dairy Capital’: Huhhot (Inner Mongolia). China’s ‘Capital of High Quality Maize’: Siping (Jilin). China’s ‘Green Tea Capital’: Emei (Sichuan). China’s ‘Seaweed Capital’: Rongcheng (Shandong), Fuzhou (Fujian). China’s ‘Coffee Capital’: Pu’er (Yunnan). China’s ‘Beverage Capital’: Sanshui (Guangdong). China’s ‘Goat Milk Capital’: Fuping (Shaanxi). China’s ‘Apple Capital’: Qixia (close to Yantai, Shandong). China’s ‘Kiwi Capital’: Pujiang (Sichuan). China’s ‘Flour Capital’: Damin (Hebei). China’s ‘Noodle Capital’: Yiyang (Hunan). China’s ‘Beef & Mutton Capital’: Chifeng (Inner Mongolia). China’s ‘Potato Capital’: Ulanqab (Inner Mongolia). China’s ‘Lemon Capital’: Ziyang, Anqiu (Sichuan). China’s ‘Leisure Food Capital’: Longhai (Fujian).